Egg yolk enriches the hair with protein. 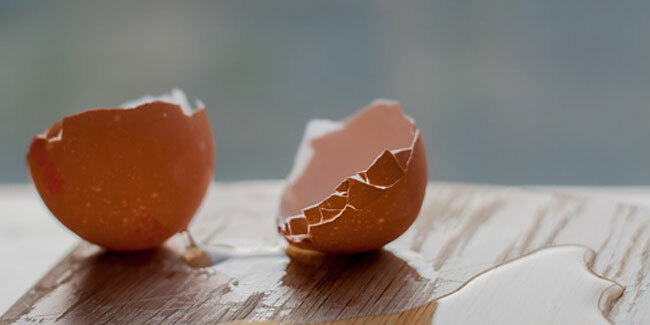 The whites of an egg can be used on oily scalp. Egg is an amazing conditioner that can put life back into dull hair. Shampooing post hair treatment with these egg hair masks is optional. Do you often cry in vain over your splitting dry hair? Or perhaps wash only the bangs to keep the hair from looking too oily? Irrespective of your hair type, an egg mask can be the best thing to put on your hair for an overall conditioning. And, it is not that difficult to prepare. So, here are two simple ways in which you can prepare an egg mask and banish hair loss with its regular application. The yolk of an egg is full of protein and applying a hair mask prepared out of it can be synonymous with an intensive protein hair treatment. Egg yolk has vitamins, proteins, fatty acids and vitamins A, D and E. These vitamins tend to promote growth of hair and also prevent hair from falling. All these vitamins together can help in strengthening as well as softening the hair. Olive oil is responsible for exfoliating hair and preventing premature graying. The presence of a nutrient-rich egg yolk as well as olive oil makes this hair mask ideal for fighting and preventing hair loss. • Add the egg yolks in a bowl and pour olive oil over it. • Mix both the ingredients well and add half a cup of water over it. • Use the first two fingers to apply the mixture across your scalp in an evenly manner. • Once the mixture is applied, wear a shower cap and let the mixture sit for about 15-20 minutes. • Rinse the mixture out the way you usually do. • Shampooing after this hair mask treatment is optional. This hair treatment may be used just once or twice in a month. Using egg white on scalp is an effective remedy for all those who have an oily hair. Excess oil on hair can cause all sorts of problems such as pore blockage causing acne and other skin infections. Too much oil can also cause frequent tangling that is difficult to tame with a comb. The egg white hair mask contains honey and olive oil, both of which have emollient properties. • Take just as much egg white as you will need for your hair’s length. • Use two of your fingers to spread and apply the hair mask evenly to the scalp. • Once you have applied it all over your scalp, wear a shower cap and allow the mixture to dry out. • Let the mask sit for 15-20 minutes. • Rinse it out with water. • Shampooing post this hair treatment is optional. This hair mask may be used once or twice a month for shiny, lustrous hair.